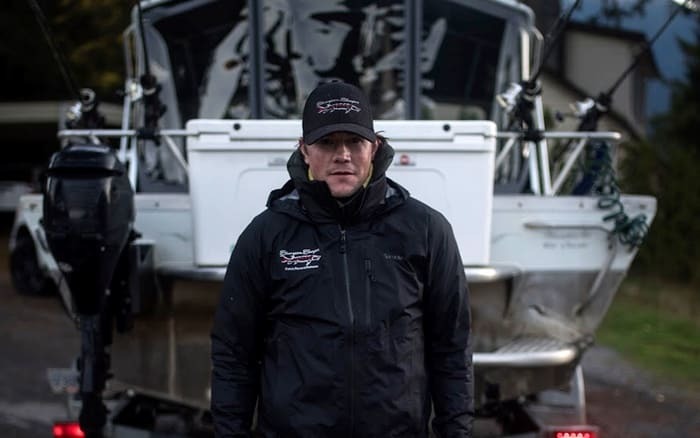 Meet Kevin Estrada, owner operator of Sturgeon Slayers in the Fraser Valley. 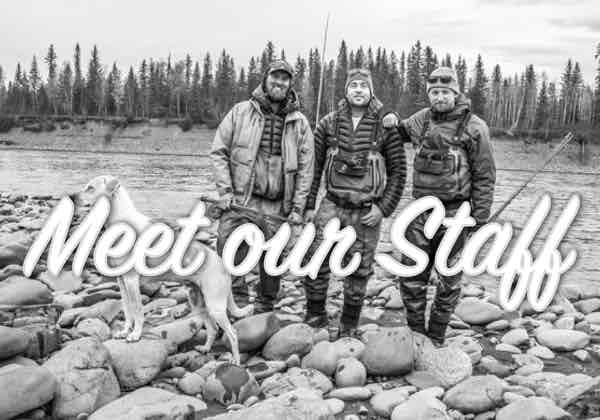 The Chromer Sport Fishing Sturgeon Slayers relationship goes back over a decade now, as Kevin has been our main sturgeon guide on the canyon portion Fraser River. 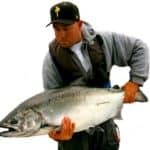 An outspoken proponent of sturgeon conservation, Kevin has made huge efforts towards educating both anglers and non-anglers about the Fraser River sturgeon and the challenges his fishery is facing. 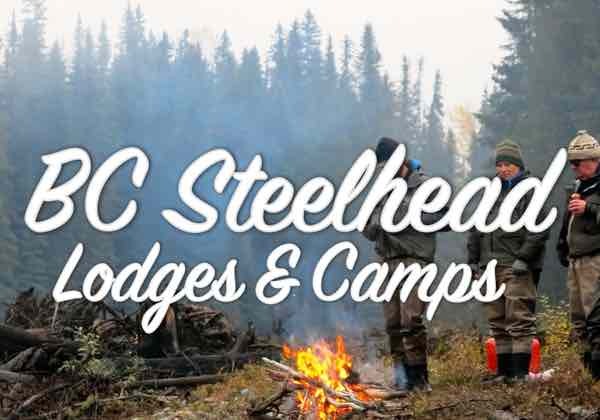 The Fraser River is a big system, where about are you guiding? I specialize in the more remote, canyon section of the lower Fraser river. What is it about sturgeon fishing you like so much? I enjoy being part of the conservation first mentality. This is a catch and release only fishery since 96’ and is the number 1 tagging and monitoring program of any species of fish in the world. 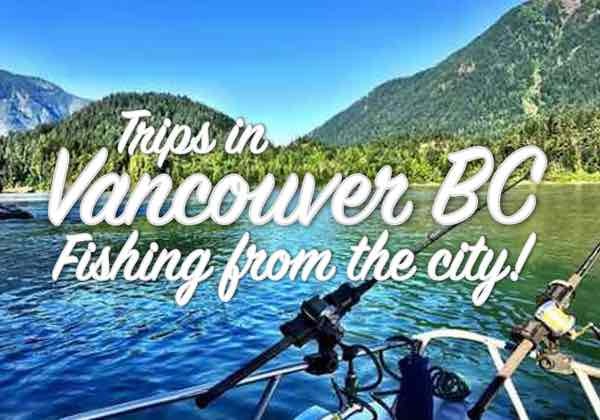 We have sampled more fish than any company in the area we specialize in and we take pride in watching out for our fishery so it’s here forever. 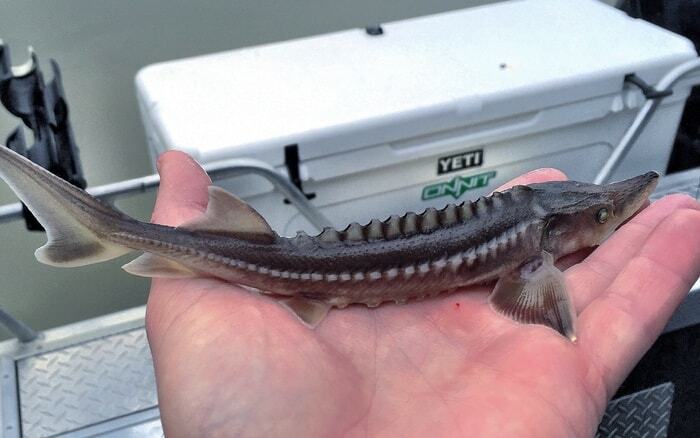 Sturgeon conservation is getting more coverage than ever, why is that? We have been highlighting the issues and working hard to make sure we get the most amount of media we can to help highlight those issues and potential issues. This is a long lived species that grows slowly and we need to be very aware of the impacts. What needs to be done to protect sturgeon? Gill nets is the number one issue I see. 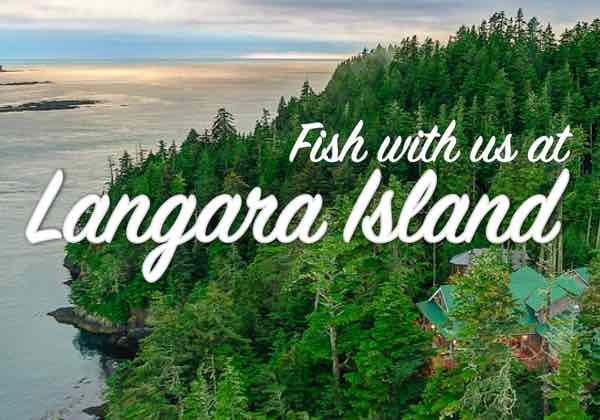 We have brought the first bill to the House of Commons in Canada about sturgeon and we are hoping to see a movement towards sustainable selective salmon harvesting technique that will help sturgeon, Steelhead and all other species. 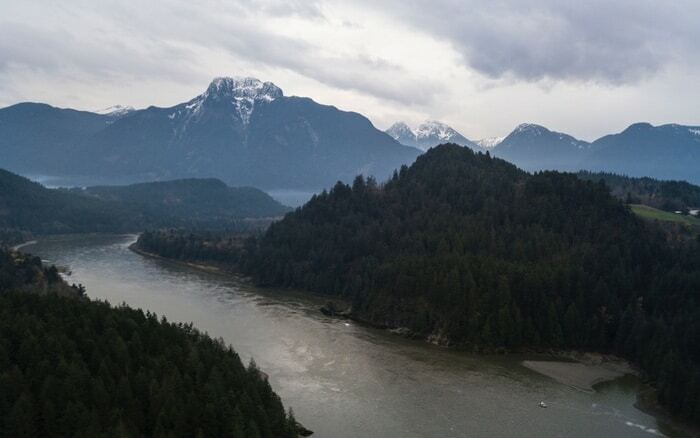 What changes have you seen on the Fraser River? I’ve seen a major changing in how anglers handle fish properly, it’s been a great change. I’ve seen an increase in netting for salmon, destruction to habitat from big business and over the last year more juveniles than I’ve ever seen. What is the story behind your biggest fish? Our longest fish was landed on a Chromer Sport Fishing trip. My partner texted me to tell me we were having a girl while I was driving up river. The next line I casting in caught a virgin 10’8. The fish was hooked in Yale and naturally we called our daughter, Yale. Other memorable sturgeon you’ve landed? Our thickest fish to date was 65’ round and 10’5 in length. This was caught while filming with National Geographic. It’s still in top 10 biggest all round sturgeon in the program and the largest on a TV program. What is the sturgeon tagging program? 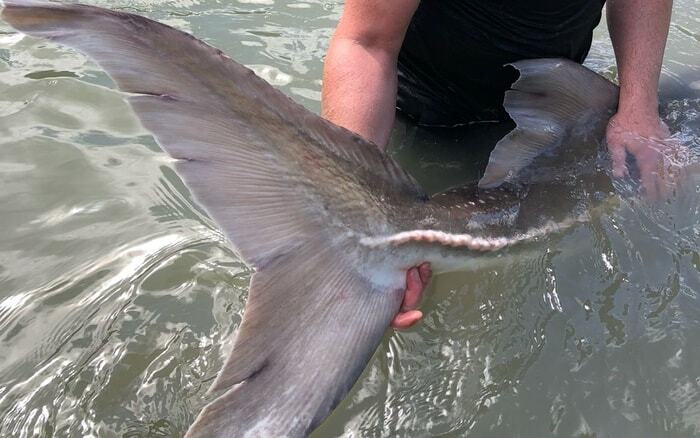 The Fraser River Sturgeon Conservation Society tagging Monitoring and Assessment program has been going for 21 years. It’s a voluntary not for profit that contributes the tag and populates information on sturgeon. We address issues impacting sturgeon and work with provincial and federal governments to educate them on what we are seeing. What’s you hope for this fishery? I would like to see a change towards selective salmon harvesting. If we can do this transition it’s was significantly help all species not just salmon. 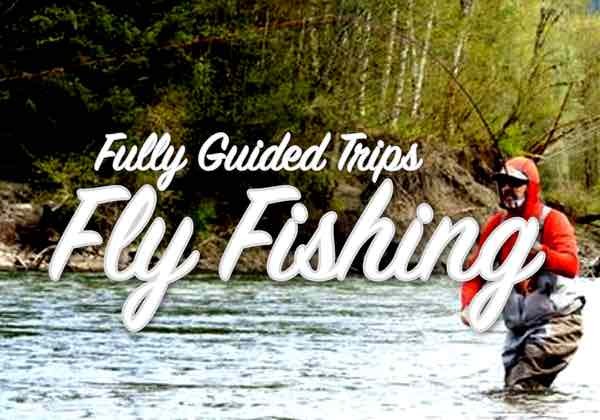 If people want to come fishing with you this year, what should they know? That we will do our very best on the river. In the end it’s fishing but you will be educated on a fishery like no other in the world. 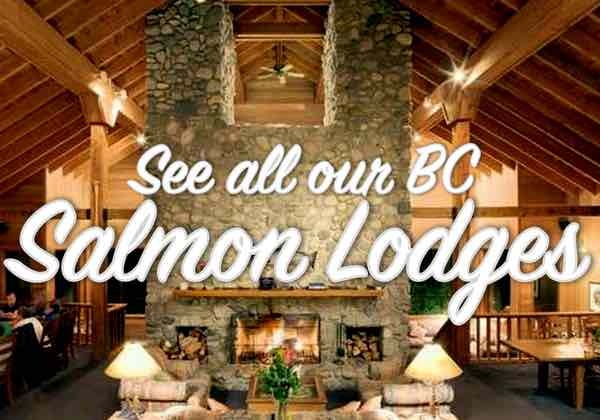 It’s a special place that needs to be experienced by all anglers. 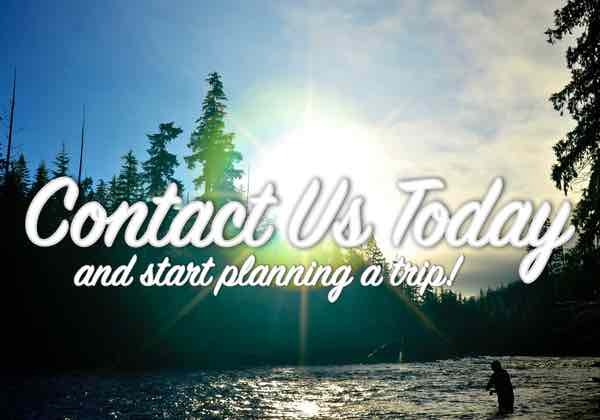 For more information on Fraser River sturgeon fishing, or to book some dates with Kevin give us a call toll free 1-800-902-3393. You can follow Kevin Estrada on Instagram and on Twitter @SturgeonSlayers and his Sturgeon Slayers Facebook page.